Join us for Match Bar & Grill’s first wine dinner event, showcasing a degustation menu reminiscent of Melbourne’s culinary flair, style and flavours. Indulge in a four course masterpiece expertly matched with premium Victorian wine from Yabby Lake, Heathcote and Red Claw. Last Friday, ‘Gastro Burgers’ and ‘Big Steaks’ were introduced on the Match menu, and can we just say ... we love them!. The burgers are made with 100% MSA graded beef and served on soft rosemary, scented bun with tomato, cos lettuce & pickles. Perfect with a glass (or two) of red wine, see our suggestions below. Big steaks seem to be the new favourite on the Match Bar & Grill menu. Ideal for Sharing, our 400gram and 500gram premium Steaks are served with your choice of béarnaise, peppercorn or mustard selection. Choose from Gippsland Black Angus, Gippsland Black Angus rib eye, Black Angus hanger steak, or Black Angus Scotch fillet. 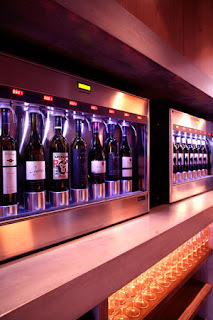 Have you tried our Enomatic wine tunnel? 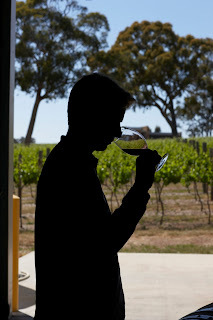 wines with whatever it is you are about to eat, or simply lets you slowly enjoy our entire list. We change the wines in the Wine Tunnel almost every day so there’s always something new for you to try. 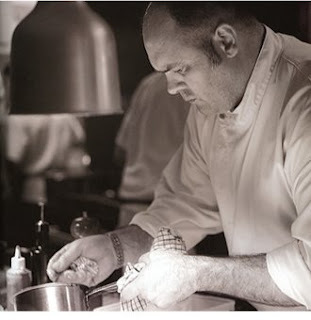 Match Bar & Grill welcomes renowned Melbourne chef, Paul Wilson. Described as one of the most extraordinary culinary talents in the Commonwealth, Paul has taken classic dishes and turned them into extraordinary meals. Dishing up all sorts of delicious meals designed to match our great drinks, Paul has revamped the menu with three things in mind – local produce, great simple taste and classic dishes - it’s all about enjoying good food the way it should be. Paul's new menu will be available in the next few weeks. Stay tuned. Match Bar & Grill serves up top-class European-style fare, with Paul Wilson’s culinary inspiration. Sourcing top quality produce has led to a classy, simple menu that is enjoyed in the heart of the CBD overlooking the hustle and bustle of Swanston Street. Match has an unrivalled reputation for drinks quality, great food and customer experience.